Working from MentorMate’s Gothenburg office, Christer ensures high quality experiences and product delivery with our international partners. 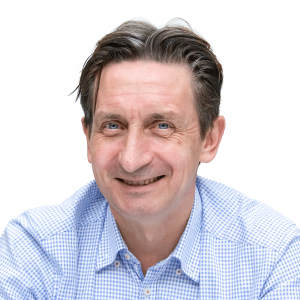 Having spent 16 years as the CEO of his own company, Imano, Christer enjoys bringing a high degree of involvement in his work with our clients and offering a helping hand to those seeking better ways to launch digital solutions. Christer got his start in the IT world as a developer in the manufacturing industry. But over time Christer grew to enjoy coaching business leaders who seek to make better use of technology in their environment. Other previous titles include Sales Executive at Tieto Sweden AB as well as Manager at Acando and WM-Data. When he isn’t growing MentorMate’s footprint in Sweden, Christer is likely to be found travelling, playing golf, spending time with his family, or rooting for his favorite hockey team, Mora IK.